Happy 2010! It’s a new year, a new decade and we’ve got more green stories to share with you, including those from our clients about what they are doing to be green. In our first client feature of 2010, we talk to Arbour Realty about their green efforts and how working with an environmental consultant can help even when you’ve already taken steps to green your operation. While we are proud of all of our clients’ green efforts, we are particularly excited about Arbour Realty’s commitment to green at every level. Not only do they help people buy and sell homes with green features, they take time to educate them about green renovations and green living practices that are good for the planet and their often their pocketbook. 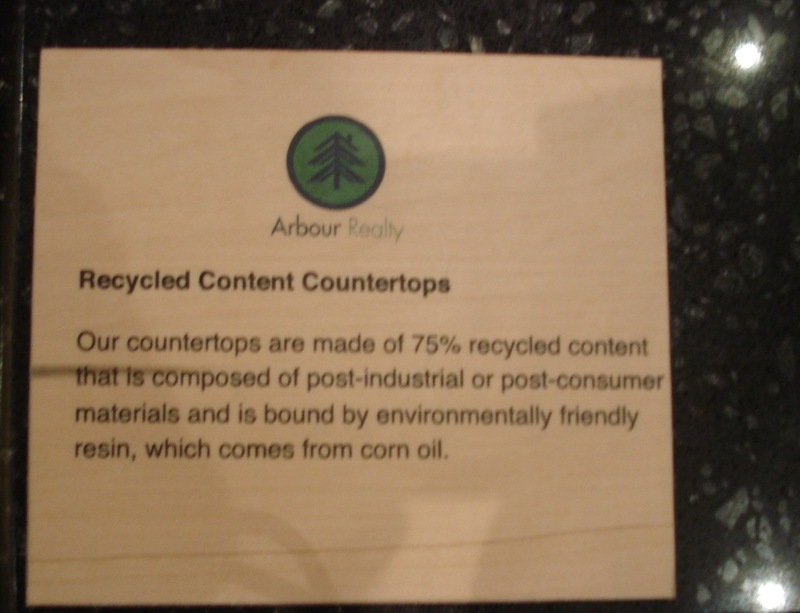 Arbour Realty has also shown their environmental commitment through every level of their business operation, from designing their Virginia office with green materials to eliminating huge amounts of paper waste typical of most real estate agencies, to even offering energy audits and eco-home assessments to their home buyers. Learn more about their green efforts in Sonia’s interview with Adam Gallegos, green visionary and principal of Arbour Realty. Green Living Consulting: What does “green” mean to you? Arbour Realty: Green means living healthier, conserving our natural resources and leaving a lighter footprint on our planet. GLC: What was your biggest motivation in wanting to get your business green? AR: We wanted to do more than run a business. We wanted to set an example that would inspire positive change. GLC: Why did you choose GLC to assist in your green endeavors? AR: We want to align ourselves with companies that truly believe in the benefits of green. From day one, GLC has shown their commitment to us and to the green movement. GLC: What have you done to date since your initial GLC assessment? 1) placards around the office explaining the green features and benefits. 2) an overview of our green commitment that we now include on our website and in our brochure. 3) the addition of live plants around the office. 4) an XLerator hand dryer that has eliminated the use of paper towels in our office. 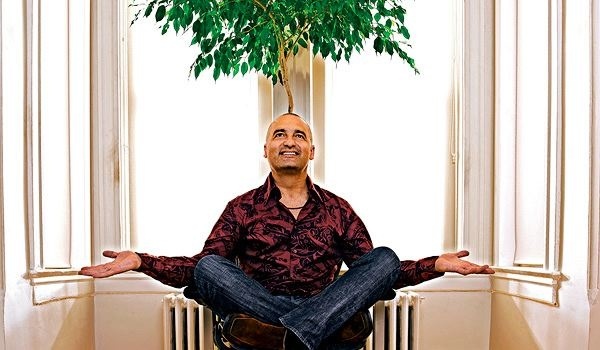 GLC: What was the biggest challenge in greening your business? AR: We knew from the beginning we did not want to be a green shell trying to prosper from people wanting to live more green. It was important that we find ways to “walk the talk” in ways that truly make a difference to the planet, our community and our clients. GLC: What role did GLC play in greening your operations? AR: We hit a ceiling with what we were able to come up with on our own. GLC brought new energy and new ideas. They really helped us take our green business initiatives to the next level. 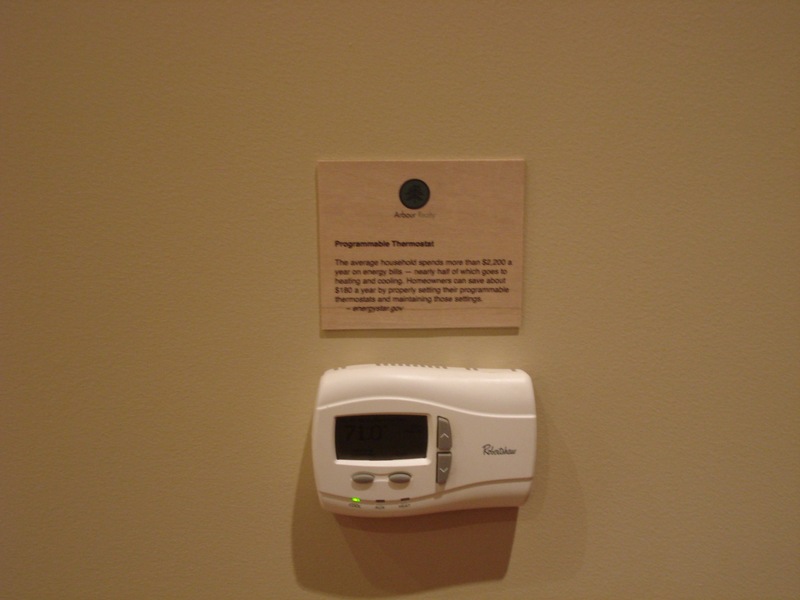 We have also implemented a program to offer Green Living Consultations to our home buyers. We have found this to be a great way to spread the excitement of green living. GLC: What level GLC rating do you currently have? Do you hope to receive a higher rating in the near future? AR: Gold. We would love to step it up and reach the next level. Our next project is lighting. We would like to transition our office to all LED lighting. This along with some smaller projects should get us to the next level. GLC: Have you been successful in creating a culture of green with your staff? AR: We have been lucky in attracting people to Arbour Realty that really embrace the benefits of green living. It’s great to have our staff contributing ideas and volunteering time. GLC: How have you tracked your eco-practices progress since their initiation? AR: I can’t say that we have done a great job of this. GLC really helped us take an inventory of what we are doing green. That was a big help for our own piece of mind and what we are communicating to the public. GLC: What have been the most effective eco-practices? AR: The process of writing contracts for home sales can be extremely wasteful. Lots of printing and faxing going back and forth. There is typically a lot of driving involved as well. We implemented a new technology that allows us to use electronic signatures, virtually eliminating the need to ever print a contract or addenda. It also eliminates the driving around needed to get signatures. We save more than a ream of paper a week with e-signatures. GLC: How have you communicated your green efforts to the public? AR: We have added our green efforts to most of our communication materials so that the public understand what we are doing differently that the other real estate companies out there. So far we have gotten a great reaction. Just this year we have won two prominent awards for best green business. GLC: What have the most visible benefits of going green been for your business? Lowered operating costs? Increased sales as a result of your green efforts? Something else? AR: There are over 10,000 real estate agents in the DC area. We are happy to not be just another one out there telling everyone that we are the best. Operating as a green real estate company really helps people understand at least one aspect of what makes us different and opens the door for them to learn all the other reasons we are a great choice for their real estate needs. GLC: If money wasn’t an issue, what other green actions would you consider implementing? AR: LEED certification of our office. We would love to go for a LEED rating. The only thing that has held us back is cost. Thank you Arbour Realty for your continued green efforts. We look forward to working with you achieve a Platinum green business rating, educating homeowners, and making the DC area a greener, healthier place to live! Business Week’s new feature “When Going Green Isn’t About Marketing“, by Amy Barrett, gets at the heart of what Green Living Consulting preaches daily – it’s possible to green your business in a way that saves money and reduces your impact on the environment. Our client Ripe has demonstrated how you weather a tough economy in both a fiscally and environmentally responsible way by greening up your operations. Ripe, a DC-based web and graphic design studio, has been in the creative world for many years and continues to be a leader in innovative design practices, increasingly incorporating sustainable design into their products and services. But that’s not all. They have embraced sustainability as not just something they should consider when designing, but in every aspect of their business – from how they get to work (see Maryam’s bicycle below right), to how they light, cool, and heat their office, and even what they use to clean it. Ripe also looks for opportunities to giveback, for example by donating laptops to the One Laptop per Child Foundation, whose mission is to create educational opportunities for the world’s poorest children by providing each child with a rugged, low-cost, low-power, connected laptop with content and software designed for collaborative, joyful, self-empowered learning. Tomas, owner of Ripe, even subsidizes alternative transportation for his employees – something not unusual for DC given the number of federal employees that receive transit benefits, but for this 5-person design firm, that’s a major commitment. The studio’s design also incorporates sustainable materials: bamboo floors, low-VOC paints, and recently added Sansevieria plants, which are a big favorite of ours for cleaning the air naturally indoors. 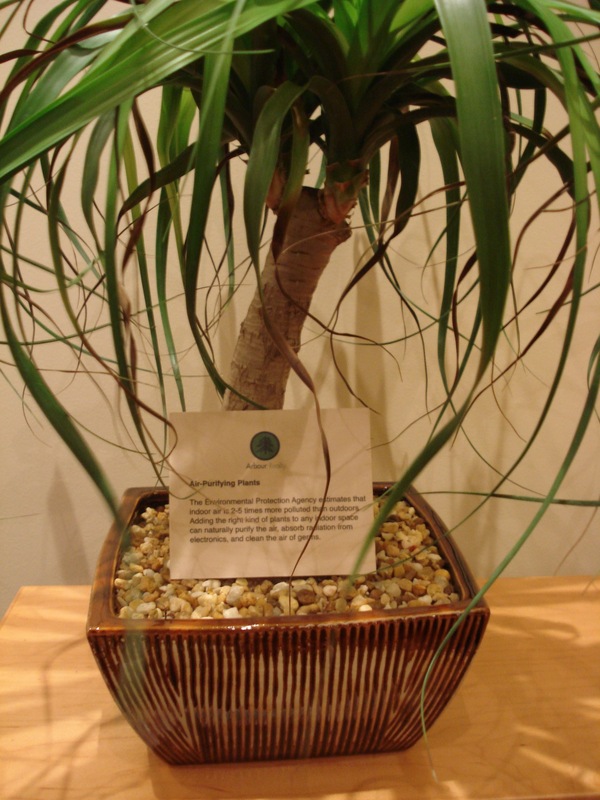 This plant is great because it is low-light tolerant, requires little water, and absorbs many of the toxins in the air that we don’t even know are there (See NASA study excerpts on how house plants absorb potentially harmful gases indoors). Ripe was also the first design firm in Washington DC to adopt the Design Accord – a global coalition of designers, educators, and corporate leaders, working together to create positive environmental and social impact. Adopters of the Designers Accord commit to five guidelines that provide collective and individual ways to take action. Ripe also recently received its Green Living Consulting certification, in which they rated SILVER in our Scorecard Assessment for their green actions across our 8 pillars of sustainability. We can’t wait to help them reach GOLD and keeping climbing the green ratings from there. 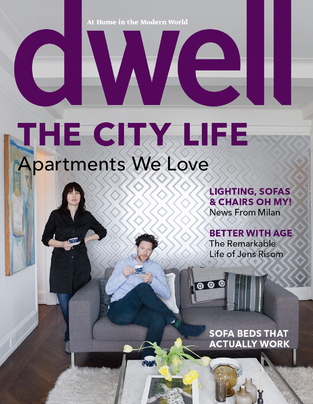 If you are not a design enthusiast, you may not be a subscriber of Dwell – the at home in the modern world magazine. But if you are a green enthusiast that also enjoys modern, sustainable design then Dwell will have plenty of reading and viewing pleasure for you. The current issue – September – features one of Green Living Consulting’s clients: Taylor Gourmet, a Philadelphia hoagie deli and Italian market in Washington D.C. Owners David Mazza and Casey Patten are featured because they live above the deli, having converted a former beauty parlor on H Street NE into a mixed-use live/work space that embodies urban, and green living (click here for the online feature). 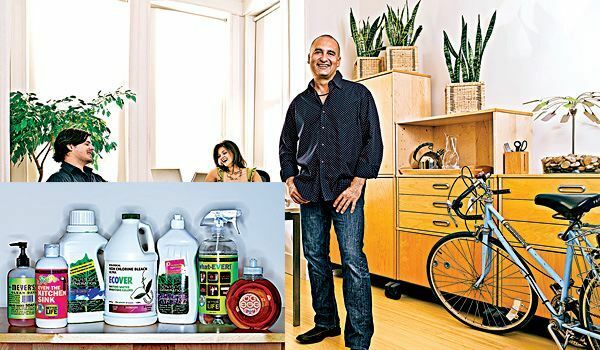 a) We love when our clients get good press for their business successes, which often include their green initiatives, or are at least due in part to their efforts to lessen their impact on the environment while also delivering top-notch products and services. b) Casey and Dave chose the H Street NE district to build their home and Italian deli. The H street NE corridor – which starts roughly at the boundary of North Capitol (near D.C.’s Union Station) and extends to 15th street NE – used to be a thriving commercial district prior to the assassination of Martin Luther King Jr. in 1968, which sparked riots that caused destruction from which the corridor has not since recovered. A transition is underway, however. New restaurants and bars have invigorated parts of the H Street corridor, often referred to by DC residents as the Atlas District (the streets from about 11th – 14th NE) because of the historic Atlas theater, a former movie theater that now houses a Performing Arts Center. The Rock-n-Roll hotel also reels in young, hipsters who want to spend their evenings in a grungy bar listening to bands that they didn’t have to spend a paycheck on to hear.With a trolley car scheduled to be installed and other redevelopment efforts planned by D.C.’s Office of Planning, whispers of this corridor becoming a once-again thriving district are not unrealistic, and probably not too far off. c) H Street is near and dear to our heart. Green Living Consulting not only has shared office space along the corridor, we are also part of a major initiative with DC Greenworks and H Street Main Street organization to Grow H Street NE Green – starting with educating the local business community on the benefits of greening their operations and taking advantage of government grant programs to add green roofs. Our hope is that if other businesses along the corridor witness the benefits that implementing green practices has both for their pocketbooks and reputation as well as the environment, as Taylor has demonstrated, then they will be motivated to make even small changes that collectively will serve to have a big impact. d) We would be lying if we weren’t also thrilled at getting a name mention on page 98 of the feature article, given our love for Dwell and almost all things both modern and green!